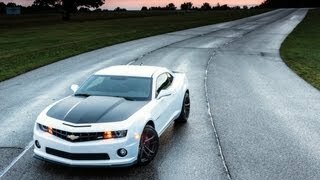 Before the Camaro ZL1 has hit the scene with its 580 horsepower under the bonnet, the 1LE performance package for the Chevrolet Camaro has been unveiled back in March. Now the manufacturer has revealed more details about the 1LE package, boasting increased performance, better handling and all that good stuff. Long story short, some of the main characteristics of this package include a Tremec TR6060-MM6 six-speed stick shift gearbox on the 1SS and 2SS coupe models, a new tuned suspension and performance tires. 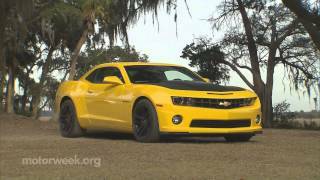 Furthermore, same as with the ZL1, the transmission found in the 1LE features air-to-liquid cooling system destined for track use. With the 1LE Camaro, monotube rear dampers have replaced the twin-tube dampers on the SS, an upgrade that allowed Chevrolet engineers to further improve upon the suspension in order to deliver an optimal body-motion control while not compromising ride quality. Other improvements include larger solid stabilizer bars both at front and the back, strut tower brace for improved steering, a ZL1 high-capacity fuel pump and higher capacity rear-axle half shafts. However, if you're looking for engine upgrades you will not find any. The Chevrolet Camaro 1LE 2013 has the same 6.2 liter LS3 V8 engine under the bonnet, developing 426 horsepower. 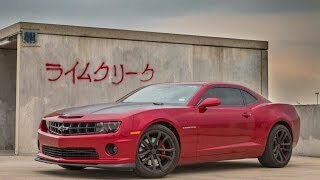 This is rather unfortunate since the 1LE appears to be a direct competitor of the Boss 302 Mustang which delivers 444 horsepower, but Chevrolet is also taking price in consideration and whereas the Mustang costs somewhere around $42,200, the 1LE is said to have a price tag below $40,000. 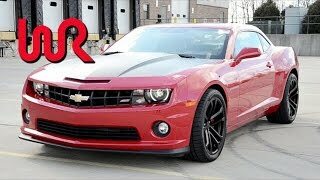 Aesthetic changes include ZL1 inspired 10-spoke 20 inch wheels finished in black, mated with Goodyear Eagle Supercar G:2 tires, a new front splitter, a rear boot lid spoiler and a matte black finished hood. Also, on the interior the 2013 Camaro comes with a new 7-inch touchscreen fitted in the center stack as a standard. The infotainment system allows the user to adjust audio options and access apps such as Stitcher and Pandora, just to name a few. It's also expected that later this year a GPS navigation system will be available on the Camaro.